Xiaomi, the Chinese smartphone manufacturer, is planning to celebrate its eighth anniversary on May 31 with the launch of an anniversary edition smartphone, called the Mi 8. The Xiaomi Mi 8 launch will be taking place in Shenzhen, China, which was confirmed by a teaser image posted on Weibo. “To celebrate our 8th year anniversary, we’ll be launching Mi 8 at our annual flagship product launch in Shenzhen on May 31,” said Xiaomi product manager Donovan Sung confirming the news in a tweet. Based on the recently leaked images on Chinese microblogging website Weibo, Xiaomi Mi 8 will come in two storage variants, 6GB RAM and 64GB of internal storage for CNY 2,799 and 8GB RAM with 128GB internal storage at CNY 3,199. The device will feature a 6.01-inch OLED edge-to-edge display with notch. The notch is expected to hold a host of sensors, such as front camera, proximity sensor, ambient light sensor, infrared lens, flood illuminator, and Dot projector. It will be powered by Qualcomm’s latest Snapdragon 845 SoC and feature iPhone X-like 3D facial recognition that could be similar to Face ID. 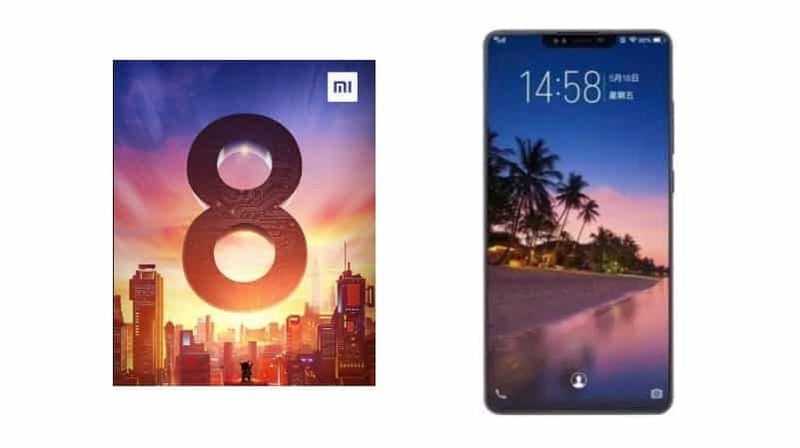 The Mi 8 will be Xiaomi’s first handset to feature the in-display fingerprint sensor, which is likely to be embedded under the display of the phone. It will powered by a 4,000mAh battery and will have fast and wireless charging support. On the software front, Xiaomi’s Mi 8 will possibly run Xiaomi MIUI based on Android Oreo. On the camera front, leaks hint at a dual camera set-up, which might come with AI capabilities, offering 200 different scene modes and at least 12 different portrait modes. Please note that all the specifications of Mi 8 are rumored and may undergo changes before the official device is out. Keep watching this space for more updates on the upcoming Mi 8!